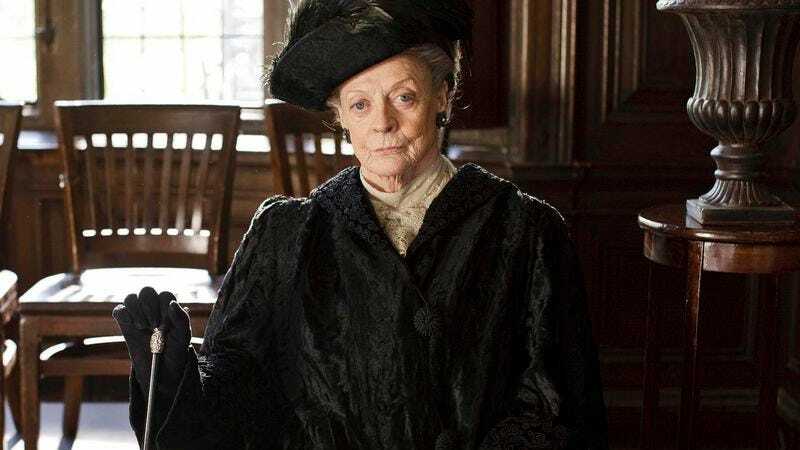 In what is otherwise known as a “Tuesday morning,” beleaguered publicists for Maggie Smith had to rush in and clean up the damage wrought by the 80-year-old Downton Abbey star, after she made comments implying she would be leaving the series after next season. “I can’t see how it could go on. I mean, I certainly can’t keep going,” Smith told The Sunday Times, using the sort of blunt, salty language that has earned her a reputation as the octogenarian terrible of British television. She then added, “To my knowledge, I must be 110 by now,” suggesting that if she were to stick with the show past a sixth season, her Dowager Countess character would finally be ancient enough to watch Downton Abbey. Still, you’ll notice that statement doesn’t actually discount Smith’s opinion that the show can’t possibly go on much longer, as Smith’s publicist lives in constant fear.